Use WayScript to pass form submissions to a google sheet in 4 minutes. For this tutorial, I have set up a Flask Python app. However, any web server will work. Here is a link to the flask project used in this demo with setup instructions. Currently, this form submission is only printing the form data to my terminal. Now, I am going to show you how to rapidly pass this data to a google sheet. 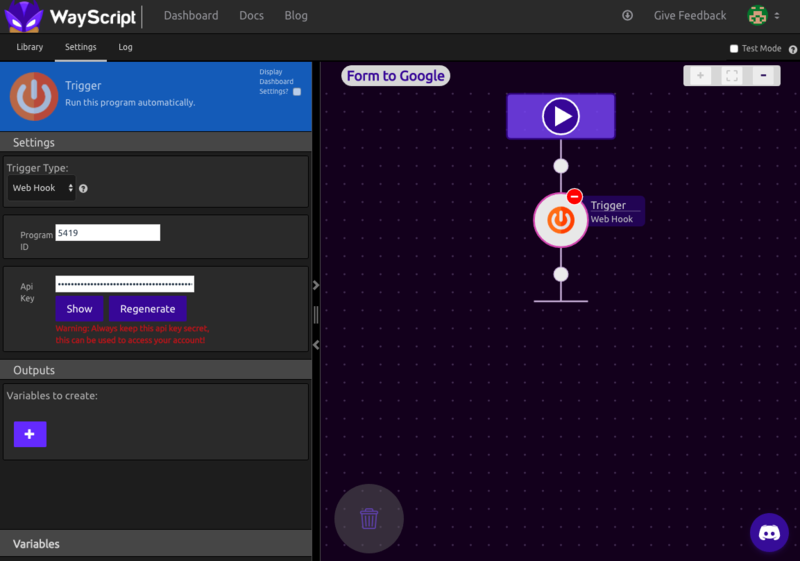 On the Trigger Module, add your form data as Outputs. In this case, I add First Name, Last Name, and Email. 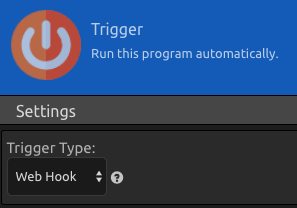 I also set 'placeholder values', which will be replaced when the program is triggered. 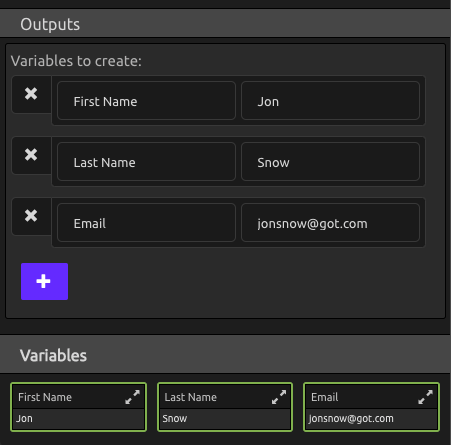 These outputs have now become variables on WayScript that can be used by other modules. Lets pass the data to GoogleSheets. 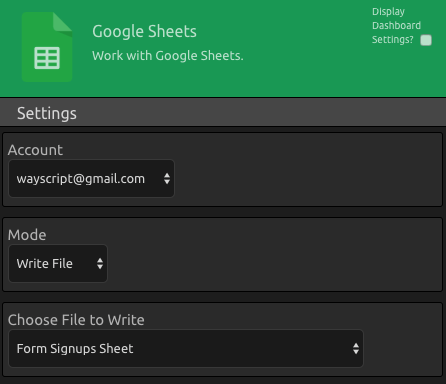 First, create a google sheet from your google account. 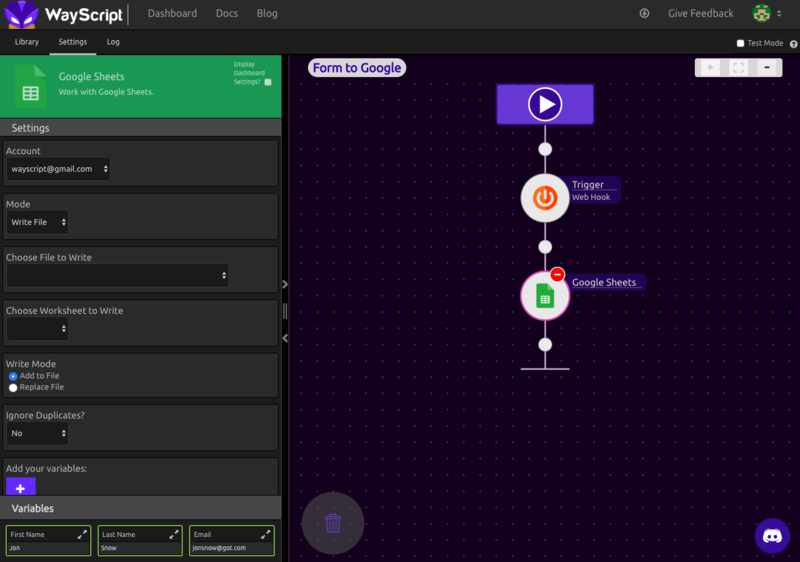 Next, drag the Google Sheets module into the second step of your program. In the Google Sheets Module, set the mode to 'Write' and select the sheet you want to write to. In the Google Sheets Module, add your three columns and select your variables. 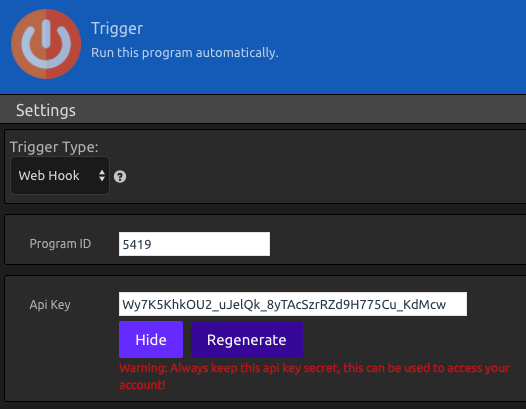 Step Three - Trigger the WayScript program from your form submission. When your form is submitted, send a post request to wayscript to pass the data. Done! Now everytime the form is submitted, the data will be pushed to a new row of your Google Sheet in real time.